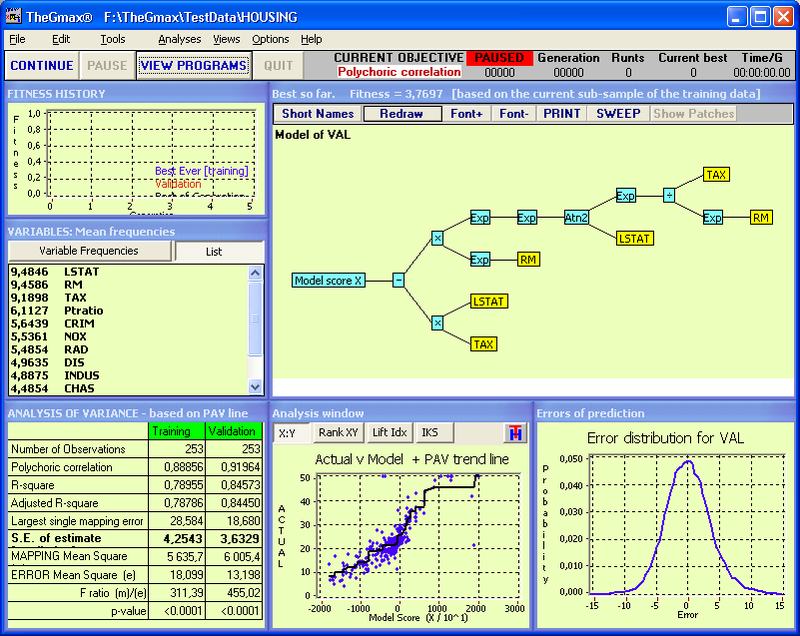 TheGMax applications notes, brochures, reports, etc. Optimizing experimental conditions for the effective analysis of intact proteins by mass spectrometry is challenging, as many analytical factors influence the spectral quality. To assess the contribution of different experimental variables to the fitness, a group of scientists has performed genetic programming analysis of a data set using the TheGMax program. Read more about this in the following publication (PDF). Differentiation of Phytophthora infestans Sporangia from Other Airborne Biological Particles by Flow Cytometry, download PDF. Rapid and Quantitative Detection of the Microbial Spoilage of Meat by Fourier Transform Infrared Spectroscopy and Machine Learning, download PDF. Metabolomics and machine learning: explanatory analysis of complex metabolome data using genetic programming to produce simple, robust rules, download PDF. Genomic Computing. Explanatory Analysis of Plant Expression Profiling Data Using Machine Learning, download PDF.